The war on coal is alive and well in Texas. Yes, Texas. Wind power capacity has officially topped coal generating capacity according to data from the Electric Reliability Council of Texas (ERCOT). Wind farms are popping up across the state and coal plants are shuttering, largely due to economics that increasingly favor low cost renewables. The wind revolution in Texas has been swift. Wind power accounted for just 2 percent of Texas’s power generation a decade ago according to the Houston Chronicle, but it now accounts for more than 15 percent. In real numbers, wind capacity stands at 20,102 megawatts, enough to power roughly four million homes by the Chronicle’s estimate. ERCOT data shows that capacity could top 21,000 megawatts by the end of the year. It now stands as the second-largest source of electricity capacity in Texas, trailing only natural gas. Coal, however, still accounts for a larger overall share of electricity generated in Texas, but that will likely change within the next few years. While wind power has blown up, coal generation has fallen across Texas. The latest casualties are the Big Brown and Sandow coal-powered plants, which are slated to close in 2018. And that’s exactly what’s happening. Cheap natural gas has made coal increasingly uncompetitive. Columbia research published earlier this year found that 49 percent of the drop in coal use in the U.S. from 2011-2016 was due to low-cost gas. 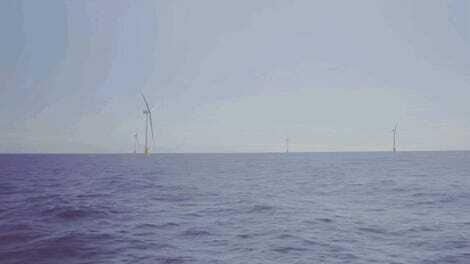 At the same time, wind power has never been cheaper. The declining cost of renewable energy over that period is responsible for 18 percent of coal’s decline, according to the Columbia research. In contrast, environmental regulations have played a very tiny role, despite the Trump administration’s argument that they’re killing coal. 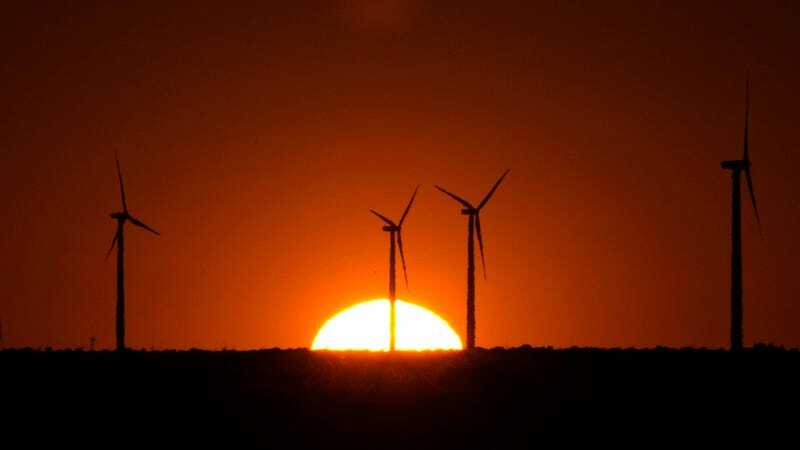 Texas—a state where “regulation” is akin to a four-letter word—has become the wind capital of the U.S. due to these economic factors and its abundance of wind. That means it’s highly unlikely that Trump’s push to roll back fossil fuel regulations will mess with the Lone Star state’s wind revolution. Texas is a microcosm of what’s happening across much of the U.S. and the world. The fastest growing jobs in the country are in wind and solar and renewables are being installed at record rates around the globe. Mexico auctioned off the cheapest solar project on the planet earlier this month. The pace, however, will need to quicken to ensure we don’t suffer the worst impacts of climate change.